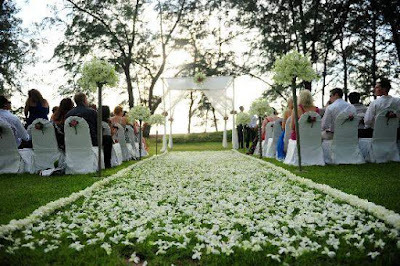 Choosing a wedding venue is usually the first order of business when it comes to planning your wedding. It may also be one of your biggest expenses. Your venue choice may factor into the date, time, and size of your wedding, and some venues will even dictate which vendors you can use. On top of that, venues raise their prices during peak wedding season, which could make it hard for many couples to afford. Luckily there are alternative options, like save money by getting married in a public place. A public wedding isn’t for everyone, but for couples on a tight budget, it may offer the perfect setting at a very affordable price. Like any venue, public spaces have their pros and cons. Many public spaces don’t offer a backup location in the event of rain. Plan accordingly with Sigaram Management Servicing in Pondicherry for a perfect Outdoor or Public Weddings.